Long daily showers, hand sanitizer dispensers, Clorox and Lysol disinfecting wipes on our kid’s back to school shopping lists, meanwhile, evidence is showing that exposure to different types of bacteria, especially early in life, actually help our immune systems to develop. Kids who grow up in an overly sterile environment have higher rates of allergies and asthma than kids who do not use antibacterial products as much. (1) We are also indoors most of the time. This means we have less contact with beneficial microbes. Remember, it is important to get out of the house and if possible, make contact with soil and vegetation. Getting dirty can be fun, and healthy! Our choices as consumers make a huge impact on our health. Let’s review some information on cleanliness and common household products. Over washing disrupts the normal flora, which keeps us healthy by competing with harmful organisms. Not all of our body has to be washed as stringently as our hands. 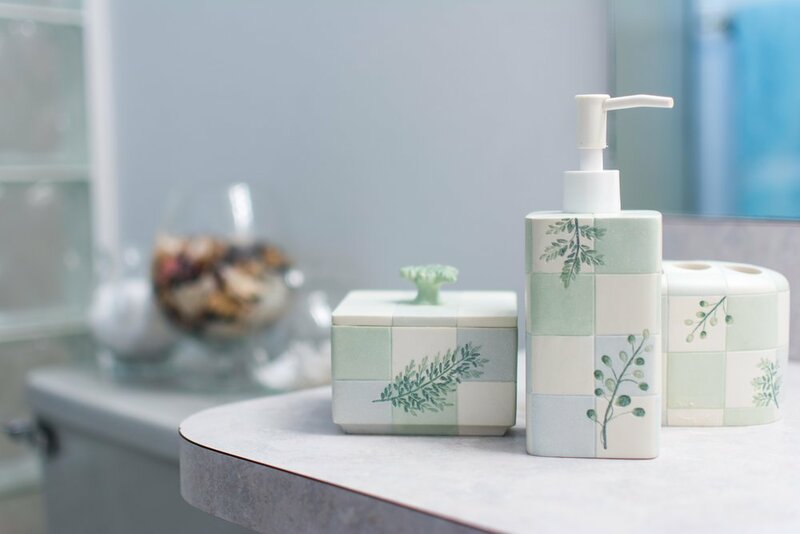 According to the American Medical Association (AMA), there is no evidence that suggests that using antibacterial soap works any more effectively than soap and water. Clorox and Lysol disinfecting wipes claim they kill 99.9% of bacteria, but if you read the label, you will find these chemicals must sit on surfaces, wet, for at least 4 minutes to actually work. Even then, the .1% left is the most potentially harmful. These bugs that resist antibacterial agents can actually encourage antibacterial resistance (a.k.a. super-bugs). There are plenty of bio-based home cleaning solutions available. Good quality lime, lemongrass, and tea tree essential oils are just a few of the oils that prevent the growth of bacteria. The sooner we stop purchasing unhealthy, unsafe products; the sooner manufacturers will stop producing them. Nowadays, families are bombarded with fast and unhealthy food choices. It is best to get kids used to healthy foods when they are young. Preparing food for your child and taking the time to talk a bit about where their food comes from, as well as its nutritional value, is an important way to influence their choices later on in life. Once they are old enough, letting them help with food preparation is an excellent way to get them excited about what they are going to eat. Even young children can help by washing fruit, mixing ingredients, and packing up their lunches. When shopping in a supermarket, stick to the perimeter of the store as much as possible, choosing fresh, whole foods that are more nutrient dense. Take a good look at food labels. Sugar-filled, chemical laden, artificially colored cereals and snacks are not the way to go. (1) There are many great-tasting, all-natural, organic products available. Find below some suggestions on where to start – if you are not there already. Never reheat plastic containers. “Microwave safe” is really only safe for the plastic, meaning it will not melt. Danger arises when plastics break down and allow chemicals to leach into your food. The safest materials for food storage and transportation include: glass, stainless steel, and silicone. Although glass may be a good option at home, there are more durable alternatives for lunchboxes that can be used for hot or cold foods and liquids. High quality, food-grade silicone is another option that is safer than plastic and will not break. The alternatives to plastic containers may be more expensive initially, but you will be able to reuse them for a longer time. Glass and stainless steel are also more environmentally friendly. If you must choose plastic products, always look for its recycling code on the bottom. Choose BPA-Free, PVC-free plastic #2, #4, or #5. Stay away from containers with recycling code #3 (contain phthalates), #6 (contain styrene, which can damage your nervous system and is linked to cancer). Being proactive about how you and your family eat now can save you all from a lot of health problems and big expenses later on. Making all these changes at once may be difficult. To make things easier, implement one or two of these at a time. take is that artificial turf is not cool, it is hot - deadly hot - and toxic! heat stress, leading to dehydration, heat exhaustion and heat stroke. (compounds that easily become vapors or gases). and pesticides are often applied to keep weeds from growing. temperatures. They will ultimately end up in our watershed and our air. our schools, we can work towards finding a safe solution. turn clothing inside out to prevent further contamination during transport. Showering and changing into clean clothes is best when possible. …Until we do, we should all be concerned! That’s right, it still hasn’t been eliminated. Lead is a toxic metal. It can seriously harm our health even at low exposure levels. We usually highlight the risks for children because it effects their brain development, where irreversible damage can occur. Lead exposure wreaks havoc in the brain. Its consequences include lowering IQ and reducing potential for learning in children. It can also adversely effect speech and hearing. In both children and adults, lead can cause gastrointestinal issues, kidney damage, and nervous system damage. In 1978, the federal government banned consumer usage of lead-containing paint, but if your home was built before then, there is a good chance it still lingers. Lead can be present in paint on walls, ceilings, doors, windows, moldings, staircases, floors, and all other interior and exterior structures. Lead-based paint becomes a concern when it chips, turns into dust, or gets into the soil. If you are thinking about renovating your home, it is always a good idea to test for lead beforehand to be sure you do not create an environmental hazard. Lead dust is the most common way that people are exposed. Inside the home, most lead dust comes from chipping and flaking paint or when paint is scraped, sanded, or disturbed during home remodeling. Watch for chipping and peeling paint, wet mop floors, or use a vacuum with a HEPA filter bag, clean windowsills and furniture with damp cloths often. Also, wash children's hands and toys with soap and water, even if they don't look dirty! Lead can be present in outdoor and indoor air. Lead in outdoor air comes mainly from industrial sources. Sources of lead in indoor air include outdoor air, suspended dust (as previously described), and some hobbies like making stained glass objects or using solderthat contains lead. Do not allow children to be present if doing such activities. If possible purchase an indoor air purifier for your home. It will protect you from lead in the air and reduce indoor air pollution and irritants. In older homes and buildings, lead may enter water as a result of the corrosion of plumbing materials containing lead. These materials include lead-based solder used to connect pipes, faucets, and in some cases, pipes made of lead connect homes to water mains. This makes it very important to have water tested at the tap. Whenever possible, use filtered water for drinking and for food preparation. Please consider installing a shower filter as well. Believe it or not, lead is still being found in inexpensive children's jewelry and some toys. You can find product recalls concerning this danger here: https://www.saferproducts.gov/. If you discover lead in toys or any other products, they can also be reported on this website at the following link: https://www.saferproducts.gov/CPSRMSPublic/Incidents/ReportIncident.aspx. We hope you will take the dangers we have discussed seriously. If you would like professional help, better sooner than later. Lead inspectors are certified to conducta surface-by-surface investigation to determine the location and severity of any lead that may be a hazard in your home environment. Now that you know lead still lingers, we hope you will look at the above and if you would like professional help contact a lead abatement company. This summer I was lucky enough to be presented a once in a lifetime experience, one which some people could only dream of. The experience I’m talking about was my internship through HBCAC at the Icahn School of Medicine at Mount Sinai. My partner Sara Frawley and I were tasked with a two folded research and community knowledge project. The internship was three days a week, two days in the Chen Lab researching the effect of glyphosate and Roundup on the liver gene expression of rats. The other day we worked in the Center for Advanced Medicine (CAM) building spreading pesticide information to the public as well as sitting in on Region 2 Pediatric Environmental Health Specialty Unit (PEHSU) meetings. The different buildings allowed us to experience multiple aspects of the research process. The Chen Lab gave me a fantastic introduction to lab research as well as genetic research. Working in Dr. Jia Chen’s lab under Dr. Yula Ma, Corina Lessur, and Maya Kappil. We were taught everything we needed to know to complete our experiment. We started the internship knowing nothing about performing necessary lab actions, but now we are able to work in the lab almost independently. It was very slow at first, pipetting water repeatedly and other tasks like that, but our mentors were able to instruct us very effectively and teach us a large amount of information in a small amount of time. For out project, we worked on Glyphosate and Roundup, a herbicide that I personally researched in school as well as learned about from my other internship mentors at the Huntington Breast Cancer Action Coalition. I was fortunate enough to be able to work hands on with the chemical that I have working with for so long. The CAM building offered a more community focused and slightly slower paced take on environmental research. Working under Dr. Sarah Evans, we performed community knowledge assessments of pesticide use on Long Island and observed PEHSU meetings. The Long Island research opened my eyes to the sheer amount of pesticides that are used in New York, and more specifically Long Island, every year. I also realized the discrepancies between what people think they know about pesticides and reality. Many people don't really know the truth about the chemicals they use in their daily lives. PEHSU meetings are a gathering of accomplished environmentalists, doctors, and researchers who discuss medical cases that doctors bring to their attention and environmental topics that are pertinent to our health. Watching these meetings take place taught me about how scientists communicate and debate their research. Another amazing experience that I am incredibly thankful for. Finally, thank you to everyone who helped me to obtain this internship as well as my mentors from the internship itself, Karen Miller and Melanie Gabrell. Thank you to Drs. Chen, Ma, and Evans as well as my mentors, Corina Lessur, and Maya Kappil. I thank you all from the bottom of my heart. You have provided me with a life changing experience that I will never forget. Completing and communicating research has been an amazing experience. This summer, I was fortunate enough to have the opportunity to intern at the Icahn School of Medicine at Mount Sinai through HBCAC. Our project focused on the researching effects of glyphosate specifically and communicating the risks of pesticides in general to the public. We worked with Dr. Jia Chen, Dr. Yula Ma, and our mentors Maya Kappil and Corina Lesseur to research glyphosate, the active ingredient in the common pesticide RoundUp, and its effect on liver gene expression. They were all very helpful and amazing to work with. To communicate pesticide usage to the public, we worked with Dr. Sarah Evans. She explained the most beneficial ways to communicate our ideas to the public as we created an outreach project to assess our community's pesticide knowledge and usage. We began our week in the lab to develop primers and pipette trays of samples to test. Here, I was exposed to the trial and error that goes into lab work and the many different aspects that are involved in developing results. From running gel electrophoresis tests to learning the code that is used to process data, every day was something new. On the second day of the week, we worked with Dr. Sarah Evans to brainstorm project ideas and sit in on Pediatric Environmental Health Specialties Unit (PEHSU) meetings where public health problems such as lead exposure and smoking would be discussed. These meetings were very informative and gave me a new understanding of what goes into public health communications. It was insightful to watch as they took large ideas with many details and simplified them to a few impactful points which would be communicated to the public. It was very interesting to see that, despite pesticides being an issue that has been previously addressed in many campaigns, there is still a lot of work that can and needs to be done. On the third day of each week, we went back to the lab to obtain our results and continue running tests. It was extremely interesting to examine pesticides from these different lenses at the same time. Coming from an internship with a grassroots organization, The Huntington Breast Cancer Action Coalition, provided yet another perspective on this issue. With HBCAC, I had previously learnt about the problems that pesticides can cause for our health and the environment while also trying to educate our community, so it was interesting to begin the summer with that perspective. It was spectacular to learn and become a part of the behind the scenes work that allows grassroots organizations to do what they do. As the summer went on, I truly felt in my element. I greatly enjoyed performing the research while also knowing the research we were doing was purposeful and would be communicated to so many people in our community. I am extremely thankful for this experience and know that it wouldn’t have been possible without HBCAC and all the wonderful people at Mount Sinai who let us embark on this journey with them. Our skin works hard to protect us and rid our body of toxins. Every day, we face pollution in our air and water, ultraviolet radiation; plus, numerous chemicals in our cosmetics and skin care products enter our bodies through our skin. Here are HBCAC’s latest tips on skin safety during the summer months. Remember to wear proper clothing for a sunny occasion. Wear a wide-brimmed hat that keeps your face, neck and ears shaded. As far as clothing, the tighter the knit or weave, the smaller the holes and the less UV can get through. Parabens are used as preservatives in cosmetics and skin care products. Unlike many endocrine-disrupting chemicals, parabens can be found in the product’s ingredient list. Here are a few common ones to look out for: methylparaben, butylparaben, propylparaben, ethylparaben, isobutylparaben, and benzylparaben. Phthalates are chemical compounds, which act as binding agents and also make plastics flexible. They can be found in many color cosmetics, fragranced lotions, body washes, hair care products, and nail polish. When reading labels, be aware that if a product has fragrance or parfum, it most likely has phthalates. This toxic chemical disturbs thyroid, testosterone, and estrogen regulation, which can create a host of issues including early puberty, poor sperm quality, infertility, obesity, and cancer. (2) Due to its antibacterial and antifungal properties, triclosan was used as a hospital scrub in the 1970s. By the year 2000, it had made its way into many consumer products, including toothpaste, soaps, and detergents. In September 2016, the FDA announced that 19 active ingredients, including triclosan and a related chemical, triclocarban, were to be removed from over-the-counter consumer antiseptic products intended for use with water, yet it is in the majority of brand name deodorants, and in some toothpaste! The skin is the body’s natural heating and cooling system. Antiperspirants plug up your sweat glands, and we need to sweat to rid our bodies of toxins! Aluminum zirconium tetrachlorohydrex glycine is the form of aluminum used in antiperspirants. It is restricted in Canada (3), which may make us think twice before applying it to our skin on a regular basis. The science is still going on as we speak! When choosing a deodorant, be on the lookout for the endocrine disruptors above like parabens, fragrance, triclosan and also artificial colors. Environmental Working Group’s (EWG) Skin Deep Database is a reliable place to check for safety and health precautions of different products and ingredients. There are many options on the market now due to consumer demand. Eating a clean diet with lots of fresh veggies and drinking plenty of water can also help cut down body odor and will help your skin stay healthy. There are many benefits to exposure to nature’s elements, especially dirt. Dr. Josh Axe, certified doctor of natural medicine, doctor of chiropractic and clinical nutritionist, often talks about why dirt should be part of our daily routine. You can read about why he thinks we live in the age of oversanitation, and then get out and get dirty! Sunscreen is often used in attempt to protect us from the harmful rays of the sun. However, sunscreen itself can be harmful to our bodies depending on what chemicals are used to make and preserve it. In fact, these chemicals are so harmful that Hawaii banned two of them. On May 1st, Hawaii state legislature passed a bill that will ban sunscreen products containing the chemicals oxybenzone and octinoxate. These chemicals are very commonly used and are found in sunscreens across the United States. When tested by EWG, Oxybenzone was found in 65% of non-mineral sunscreens. Even worse, it has been found in the blood of 96% of Americans by the CDC. These are both huge percentages which prove how widely used it is. This is significant because these chemicals are damaging to both our bodies and even the coral reefs in Hawaii. Both of these chemicals are endocrine disruptors. This means that they mimic and disrupt our hormones. Hormones are our chemical messengers that send signals across our bodies. So, when they are disrupted, instances of short and long term negative health effects increase. Oxybenzone has been found to cause allergic reactions and is even linked to lower testosterone levels in adolescent boys. Octinoxate mimics the hormone estrogen. These hormones regulate many processes in the body and even small disruptions can be harmful. By creating this new regulation, Hawaii is encouraging companies to make safer and more effective alternatives. While this is good for Hawaii, many states do not have this legislation so it is important to read labels to look for these chemicals. Using mineral sunscreens, hats, and sitting in the shade are all great alternatives which can help to prevent sun exposure without exposing yourself to harmful chemicals. There are many hidden chemicals in personal care products which can be damaging to our health. 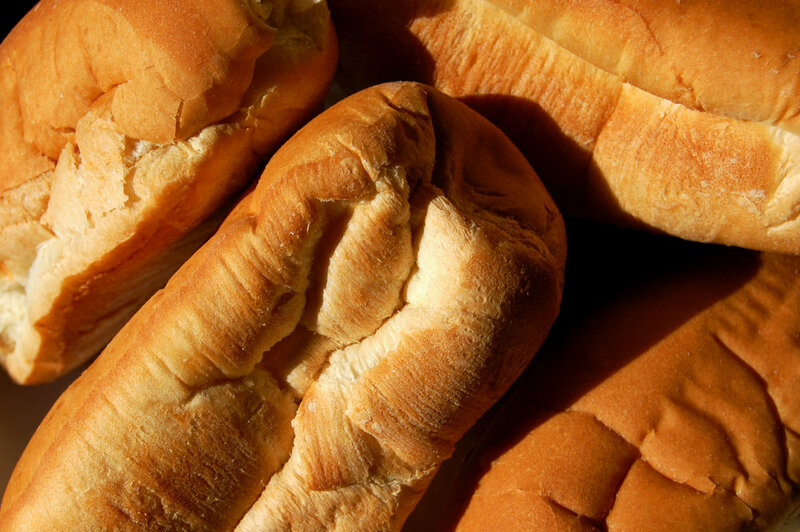 In fact, a recent study found that small doses of certain chemical preservatives can be damaging to one’s health. These preservatives are known as parabens. Parabens are endocrine disruptors which harm the hormone system by mimicking the hormone estrogen. This can be very damaging because hormone disruption is linked to disease in later life and according to new studies, more aggressive cancer. Parabens are so common that they were actually found in one fifth of the products tested by EWG. So, you may be wondering why parabens are so common if they are so dangerous. This is because there are many arguments that the amounts of parabens used in products are too low to impact health. However, a recent study noted that previous research only considered the effects of parabens alone while in the real world we are affected by a wide variety of chemicals which can work together to be more damaging. When tested against other chemical changes in breast cancer cells, parabens were linked to damage such as leading to faster tumor growth and malignant cancer. This is because of parabens ability to mimic estrogen. Estrogen is an important hormone in our body which regulates many different processes. In fact, two thirds of breast cancer cells have estrogen receptors. This is significant because paragons mimic this common hormone and these studies found that even low doses of chain parabens such as butyl paraben can turn on cancer genes with cell receptors called HER receptors. So, while previous studies claimed that low doses of parabens are safe, these new studies are proving that these low doses can become amplified with different receptors and biochemical environments. Luckily, you can keep yourself safe by avoiding these harmful preservatives by looking for paraben-free products using resources such as EWGs Skin Deep Database and by reading labels. In recent months, many studies have been released that prove the harmful effects of cellphone radiation. As the newest users of these untested products, people had no idea that these phones would give off radiation that could harm them. Before the science could come out, cell phones have ended up in the hands of the majority, including children. These wonderful devices that revolutionized communication have now been linked to both heart and brain tumors by a recent Italian study. In fact, these results aren't the first. This study supports the results of a previous study provided by the National Toxicology Program which showed that male rats exposed to cell phone radiation had a higher chance of developing cancerous brain and heart tumors. Other studies showed sperm damage, sleep disruption, and lowered brain metabolism. These studies prove the long term effects of cellphone radiation, however these worrying effects are not limited. Another study proved that pregnant women exposed to short term cellular radiation had a threefold chance of miscarriage. So, how can you use your cell phone while avoiding these effects? Well, EWG provided helpful guidelines which include : “Use a speaker, hold your phone away from your body, text more than calling, call when the signal is strong, limit children’s cell phone use, and skip the radiation shield”. Simply holding your phone further away from you and putting it across your room at night can aide in limiting your exposure. While, many opt for radiation shield cases, certain types can lower connection which in turn promotes radiation. These findings should be taken into special consideration for children and teens. As with many harmful things, growing bodies are far more susceptible. Important parts of their bodies are forming rapidly and these small things can have larger effects. Although throwing away your phone is probably not an option, making a few of these changes can limit your exposure to radiation, and in turn limit your chance of getting certain harmful symptoms. As with everything we explain, a small change in just a few things can make a great difference for your future. Plastics have leached into almost every part of our environment, especially our water. 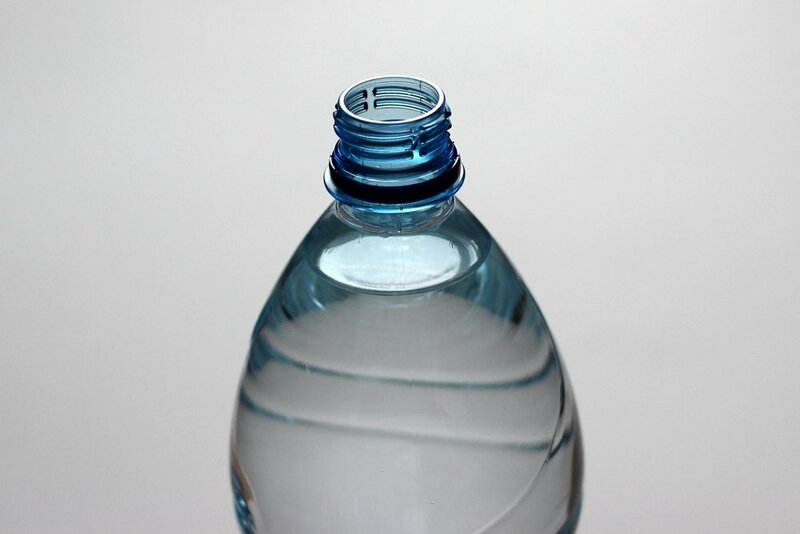 A recent study found that plastic particles are even present in bottled water. In fact, these particles were found in even higher amounts than tap water that was tested in previous studies. These bottles had an average of 325 plastic particles per liter and only 17 of the bottles didn't have plastics. These plastics can enter water at the original site, in the factory, or from the water bottle itself. Of 259 bottles tested, 90% had microplastics. This is extremely concerning because on top of the high expectations for bottled water, plastics can be harmful to one's health. In this study polypropylene was the most commonly found plastic even though it is often considered safe due to its heat resistant qualities which keep it from getting into products. However, common plastics such as BPA and phthalates can be harmful as they are known endocrine disruptors. This means they disrupt our hormone systems because of their abilities to mimic hormones. So, you may be wondering what you should do as there is controversy over tap water vs bottled water. You can often find full water reports of your bottled water and can use EWG’s Tap Water Database to find out how safe your local tap water is. By doing this you can see what water filter might work best for you. Additionally, even switching from a plastic water bottle to a glass or stainless steel bottle can be beneficial to your health in the long run. Lead is a heavy metal that has well known harmful effects on every part of our bodies. However, it is still found in many everyday items such as drinking water and even the paint on your walls. Avoiding it where possible can greatly help your health in the future. Lead is linked to a variety of diseases because of the way it can effect every part of our body. Exposure to lead has been linked to permanent brain damage, lowered IQ, hearing loss, miscarriage, premature birth, increased blood pressure, kidney damage and nervous system problems. In fact, it has also been found to alter both reproductive and stress regulating hormones. This is due to its endocrine disrupting effects meaning it interferes with our bodies natural signaling system by mimicking hormones. So how can you avoid lead? Well, lead is found in crumbling paint and even water. By simply keeping your house clean and avoiding lead based paints, you can reduce your exposure in your home. Purchasing an appropriate water filter can be beneficial as well. Luckily, this process has been made easier with the help of EWG's clean water guide. Lead is obviously linked to a variety of illnesses. Overall, making even one of these changes can be beneficial to your health in the long run. With 70% more households having more dogs or cats than children, it is important to consider the effects of pesticides on pet health. Similarly to children, pets can be exposed to pesticides while playing outside on lawns. Additionally, just like people, dogs can get illnesses such as cancer and they can actually help to inform ourselves of health risks. In a study by EWG, dogs and cats were exposed to 48 out of 70 harmful chemicals tested. And, 43 of these chemicals were found in much higher levels than in humans. Dogs and cats roll around outside on lawns coated in pesticides and after doing so they often lick themselves clean. This means they can be exposed to pesticides through both their skin and mouth. Even indoor pets that eat food off the floor can be exposed to pesticides that get tracked inside the home. Their exposure levels are very similar to those of infants and toddlers who often play on the floor and stick many things in their mouths. These pesticides (and even flea repellents) have been proven to cause many different types of cancers in dogs. Pesticides can sometimes have endocrine disrupting chemicals which means they can disrupt hormone system and contribute to the development of disease. Hormones are our body's messengers, and when these chemicals get into our body, they mimic these messengers, causing unwanted reactions. With shorter lifespans and smaller windows of vulnerability, they develop health problems at much faster rates. Overall, pets are much more vulnerable to pesticides than people, and therefore can, unfortunately, demonstrate the harmful effects of pesticides. Some types of pesticides can have harmful chemicals so switching to organic brands can help both your pets and your own health in the long run. Phthalates are endocrine disrupting chemicals that are found in a variety of things from plastics to personal care products. They are often used in plastics to make them more flexible. However, they are even used in products that contain synthetic fragrance. So, what exactly is this chemical, why is it used so often, and what harm could it be doing? Well, phthalates are added chemicals which are used to make plastic more flexible and harder to break. This means they are not necessary to the quality of many of your products besides the packaging or smell. They are in things such as toys, vinyl flooring and wall covering, detergents, food packaging, pharmaceuticals, and personal care products. In the case of fragrance, they can sometimes be sneakily added to your products under the code word fragrance. However for the most part phthalates can be avoided by avoiding plastics with the recycling number 3. Phthalates are dangerous because they are endocrine disruptors. Endocrine disruptors cause problems by mimicking or altering the amounts of hormones in your body. By acting as hormones, your bodies natural signals, it can confuse your body into sending the wrong responses. Phthalates, for example, have been shown to alter hormones, lower sperm count, obesity, diabetes, and thyroid irregularities. To avoid phthalates, try replacing your plastics with glass or stainless steel bottles. Also, avoid plastics with the recycling numbers 3 and 5 4 1 2 because these are also harmful plastics. These numbers can often be found on the bottom of your plastic containers and can be strong indicators of what chemicals were used to form your plastics. By simply changing something such as your water bottle or to a product without fragrance, you can greatly benefit your health in the long run. PFCs also known per- or perfluorochemicals are a group of chemicals which can be dangerous to our health. They are often recognized for being used in non stick pans but they are also used in a variety of other products as well.They make products water-, grease-, and stain-resistant which is why they are used so often. However, this widespread use has lead to an almost universal finding of PFCs in people's blood stream as well as in the environment. PFCs have been linked to cancer, reproductive problems, birth and developmental defects, and even immune suppression. Because they are so prevalent, it can be beneficial to reduce some areas of exposure that you can control, such as the clothes you buy or pans you use. “They’re used in the coatings on carpets and clothing, in microwave popcorn bag and fast food wrappers. Most waterproof or stain repellent clothing....PFC coatings remain common in the marketplace.” (EWG’s Guide to Avoiding PFCs). In fact, they can even be found in the water because they can degrade over time and get into our water supply. To avoid PFCs, avoid PTFE and nonstick kitchen supplies by replacing them with stainless steel or cast iron pans instead. Also look for products without PTFE and FLUORO ingredients and clothes without the words stain or water repellent. If you are worried about your water, detection has been made easy with EWGs tap water database which can help advise you to find safer water filters which are more fitted to the chemicals in your area. Making even one of these changes can have a great and easy impact on your future health. Triclosan is an antibacterial chemical found in many personal care products. It can be dangerous to both people and the environment because of its harmful qualities. Even though its dangers are known and triclosan-free products work just as well, it is still used often. In fact, a study by the CDC showed 75% of people tested had the chemical triclosan in their bodies. So what exactly is this chemical and how can one avoid it? Triclosan is a endocrine disrupting chemical meaning it can disrupt our hormones. This is dangerous because hormones control many bodily functions. When they are disrupted mixed chemical messages can lead to diseases later in life. For example, triclosan is linked to liver and inhalation toxicity. Even low levels of exposure to triclosan can disrupt thyroid function. As well as harming people, it can also disrupt the environment by getting into water sources and harming animals as well. It is often listed as “antibacterial”, “antimicrobial”, and “odor-fighting”. Triclosan can be found in body washes, conditioner, deodorants, soaps, lotion, shampoos, shaving creams, toothpaste, and even the lining of shoes. Imagine how many times you brush your teeth throughout your whole life. If your toothpaste contains triclosan then all those exposures can build up. Luckily, there have been studies which show that by eliminating products with this chemical allows it to quickly leave your body in a matter of days. To avoid this harmful chemical look for the word triclosan under the active ingredient section on your products label. Also avoid antibacterial soaps as normal soap has been proven to work just as well. By switching out a product as simple as your toothpaste for another that does not contain triclosan could have a great benefit on your health in the long run.